Holiday health mishaps happen more often than many people might think, resulting in a spike in visits to the emergency room for "holiday-related" injuries, calls to the poison centre, and even a rise in allergy symptoms, writes Dr. Joelene Huber. Falling from a ladder while hanging Christmas lights, decorations catching fire and the tree toppling all sound like scenes from National Lampoon's Christmas Vacation. But real holiday health mishaps happen more often than many people might think, resulting in a spike in visits to the emergency room for "holiday-related" injuries, calls to the poison centre, and even a rise in allergy symptoms. Paints and markers are great for making crafts, such as this one courtesy of Cole Okrainec. But they don't belong in children's mouths, as they can be toxic. 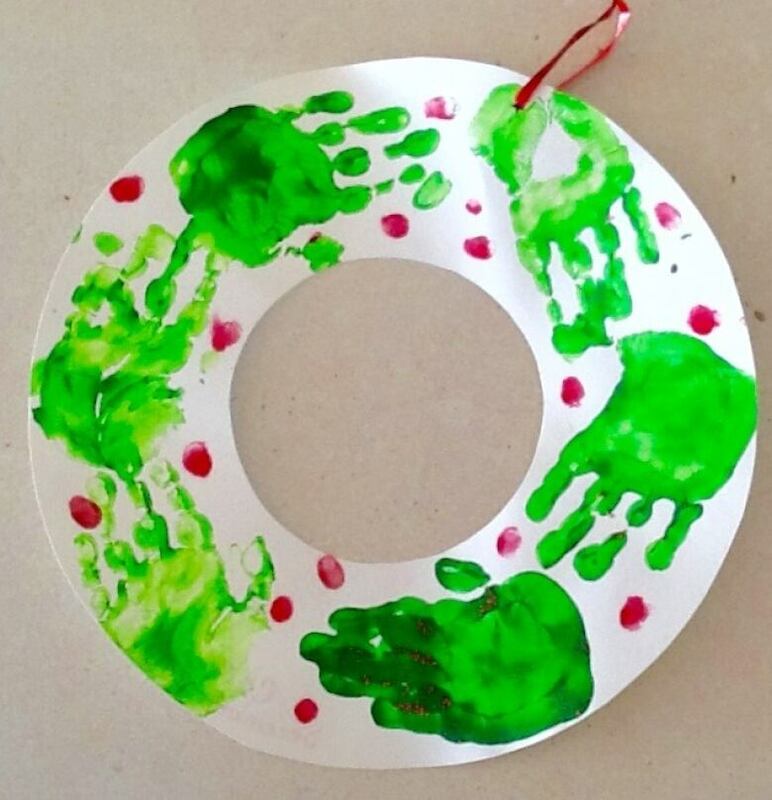 (Joelene Huber)There are few presents more special than a homemade gift or decoration crafted with care by little hands. But accidental ingestion of arts and craft supplies are a common source of poison centre calls over the holidays, says Heather Hudson, an advanced nursing educator at the Ontario Poison Centre. 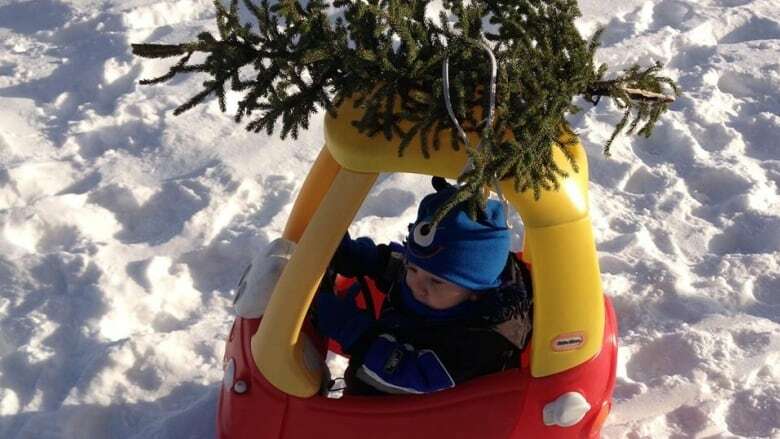 This type of mishap is on the centre's top 10 list of reasons for calls related to young children around the holidays. Putting paint or markers in the mouth is one of the most common exposures for children, mainly because they have more access to art supplies around the holidays, says Hudson. Some art supplies meant for adults can be toxic if ingested, such as lead-containing paint. Use age-appropriate paint and drawing supplies that are non-toxic and water-based. Always supervise children while crafting. Do not serve snacks while doing arts and crafts. Children can accidentally ingest a craft supply or a snack can be contaminated with the art materials. Wash hands thoroughly after craft time. Store art supplies out of reach and out of sight. Poinsettias are not toxic, but berries from other holiday plants such as holly and mistletoe are considered poisonous if swallowed. 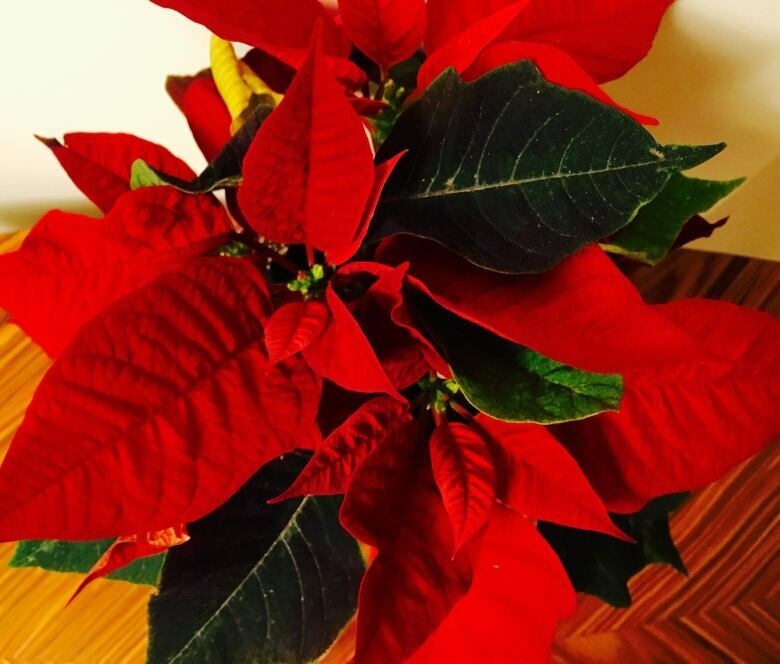 (Joelene Huber)The poison centre gets many calls about poinsettias over the holidays, Hudson says, because many people mistakenly believe the plant is highly toxic. "It has actually got a very bad reputation, and it is not a harmful plant at all," she says. Symptoms from exposure to poinsettias — like nausea, vomiting, rash and sneezing — are very rare. The American Journal of Emergency Medicine published a study of nearly 23,000 children with a poinsettia exposure that was reported to a poison control centre, and it showed that 92 per cent developed no symptoms. However, while poinsettias are not toxic, the sap from broken leaves or stems can be an allergen to those with latex allergies. It is also important to remember that berries from other holiday plants, such as holly and mistletoe, are considered poisonous if swallowed. Most wrapping paper is not toxic, but wrapping, ribbons and other packaging could present a choking hazard for young children. (CBC)Most wrapping paper and bows are not toxic, according to Hudson, but wrapping, ribbons and packaging could present a choking hazard for young children. 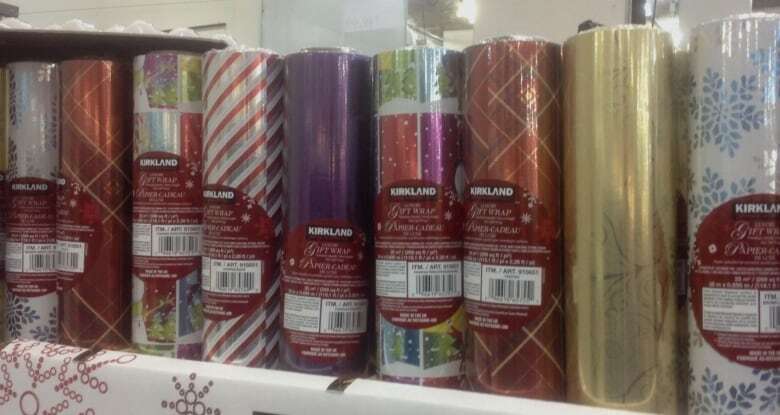 Some wrapping paper also contains metal-based pigments, synthetic inks or other compounds that could be dangerous if burned. Many Canadian municipalities have bylaws against burning garbage in places such as fireplaces or woodstoves. According to Environment Canada, "even seemingly harmless materials like paper and cardboard … releases a hazardous mixture of cancer-causing compounds and other toxic substances when open-burned." So don't throw wrapping paper or packaging in the fire. The colourful flames are pretty, but can also release noxious smoke. Christmas trees are heavy enough to injure someone, particularly a small child, if they aren't properly secured and topple over. (Courtesy Stephanie Goddard)Winter weather may bring some relief to those who suffer from environmental allergies, such as seasonal allergies and pollen-induced asthma, according to Dr. Adelle Atkinson, a clinical immunologist and allergist at the Hospital for Sick Children in Toronto. But she says people with environmental sensitivities, particularly to mould, need to be wary of Christmas trees and decorations made from real tree branches. While it's not a problem for most people, "live Christmas trees . . . may carry some of the outdoor allergens, such as mould on their branches and trunk, causing symptoms of allergic rhinitis, conjunctivitis and wheeze," Dr. Atkinson says. And the mould count on real Christmas trees can increase over a couple weeks while indoors. 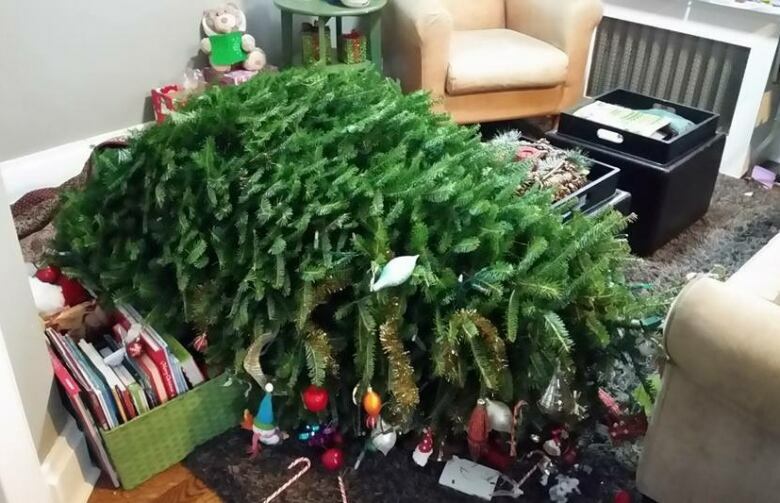 People should also take precautions to prevent Christmas tree tip-overs and fires. If you or a family member has seasonal environmental/mould allergies, consider an artificial tree. These can also collect allergens, such as dust, so wipe the tree down when putting it up. If using an artificial tree, look for a fire-resistant label. According to the Ontario Association of Fire Chiefs, this does not mean it cannot burn, but rather that it should resist burning and should be more easily extinguished if it catches fire. Keep live trees well watered. Do not place any tree near a fireplace, heating vent, radiator or candles. 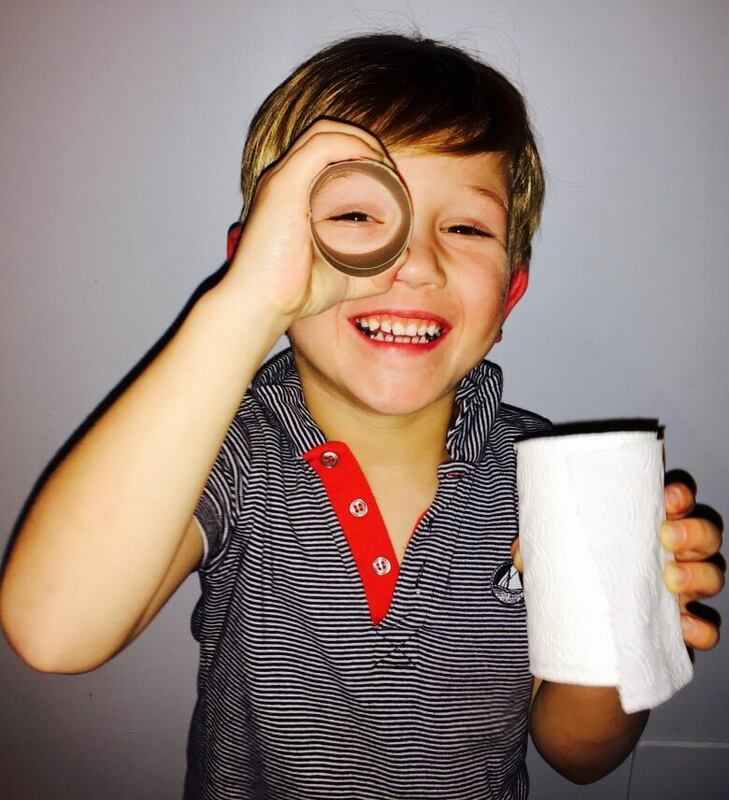 Is a toy small enough to pass through a toilet paper roll? If it is, it could be a choking hazard. (Joelene Huber)The high point of the holiday season for many children is the thrill of new toys. However, some can pose safety risks. small enough to pass through the inside a toilet paper roll. If it does, it could be a choking hazard. Read warning labels and follow the instructions for putting the toy together properly. Monitor children when they first play with a new toy to ensure they know how to play with it safely. Check recalls and safety alerts for up-to-date warnings about toy recalls. Avoid toys with small removable parts for younger children. Check for any sharp edges, broken parts or pieces or that could easily be dislodged. Common places to check are the eyes and noses of plush toys and wheels and parts of small toy vehicles. Only give age-appropriate gifts, as marked on the package. Giving a younger child a gift for an older child could pose risks, such as small parts that could be choking hazards or toys a younger child is not able to play with safely. Children under three are more likely to put toys and objects in their mouths. Call 911 immediately if you suspect a child has ingested a button battery. It can cause serious injury very quickly. (Joelene Huber)The Ontario Poison Centre's Hudson says children have greater access to batteries around the holidays. Button batteries can be found in toys, but also in many household items such as remote controls, musical holiday greeting cards, flameless candles, children's books and hearing aids. It is important to know that button batteries can cause serious injuries very quickly after being swallowed. Don't allow children to play with or have access to button batteries. Adults should load batteries securely, preferably in compartments that are locked or difficult for children to access. Supervise children when playing with or using products with button batteries. Discard button batteries that need to be replaced right after you have removed them. Call 911 immediately if you suspect a child has ingested a button battery. Decking the halls can cause dangerous falls. (Reuters)Overall, falls account for approximately 40 per cent of traumas and injury-related deaths in Canada. 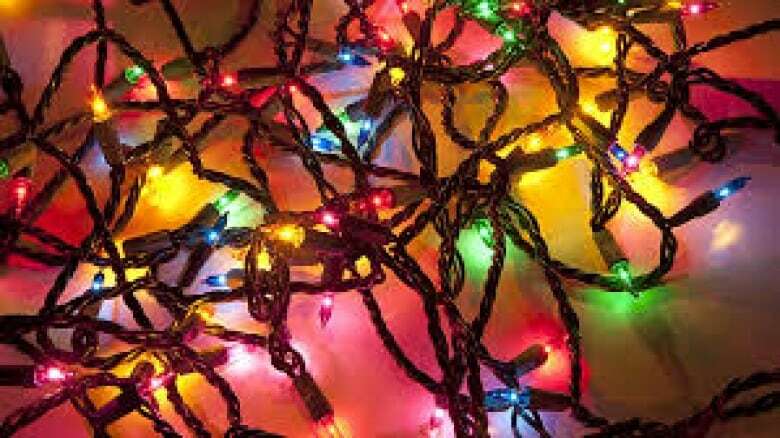 According to a recent study reviewing the cases admitted to Calgary's Foothills Medical Centre over the past decade, many injuries associated with stringing lights were serious or even life-threatening, resulting in death in five per cent of cases. The injuries included spinal fractures, brain injuries, skull fractures and broken bones — a third of which required major surgery. Most were middle-aged men. The authors recommended caution when hanging lights at any height, especially during Canadian winter conditions. Make sure the ladder is right for the job. Wear appropriate footwear with grips for climbing on ladders and roofs. Hang lights with a buddy. Move the ladder as you go, rather than over-reaching. Do not attempt to hang lights when under the influence of alcohol or drugs. 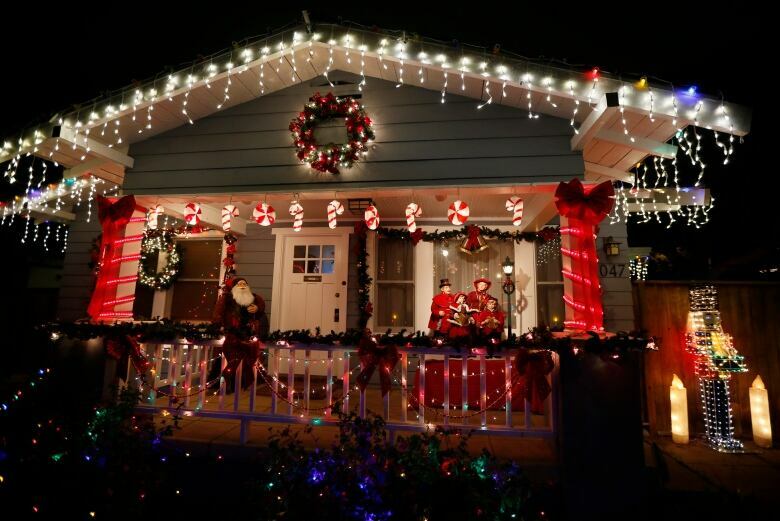 Use only accredited lights, and check for frayed cords, exposed wires and broken sockets or broken and loose bulbs. (CBC)Electrical fires are a common cause cause of fires over the holidays. Recently, there have been recalls due to fire and shock hazards, as well as safety issues, associated with Christmas lights at Canadian Tire and Walmart. Only use lights that are marked with an accredited certification from agencies such as CSA or cUL and read the safety labels before hanging Christmas lights. Check the whole string of lights for any fraying of the cord, exposed wires, broken sockets or broken or loose bulbs and replace bulbs before using them. Don't run lights and cords through doorways or under rugs, as this can be a tripping and fire hazard. Avoid overloading a circuit. The Ontario Association of Fire Chiefs recommend using no more than three standard sets of lights per single extension cord. Always unplug lights before going to bed or when you go out. According to the fire chiefs, "lights could short out and start a fire." 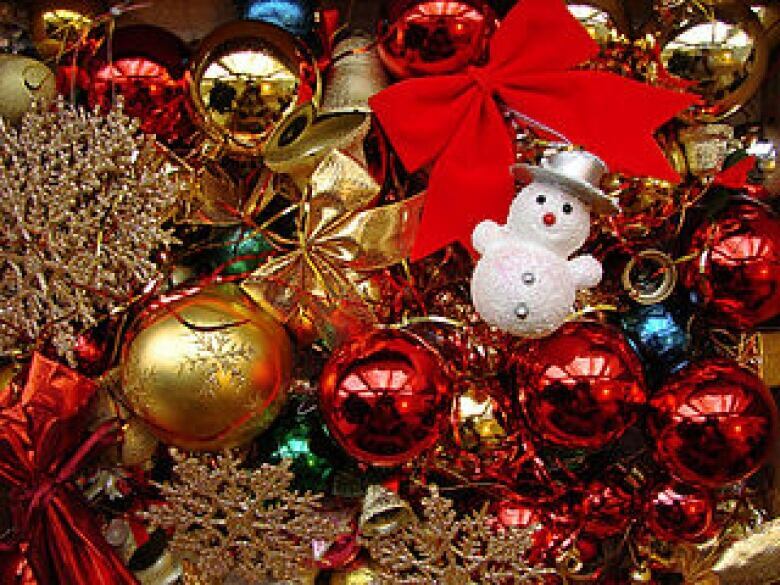 Use non-breakable ornaments made of plastic or non-leaded metal. (CBC)Decorations are not toys. But glittery, shiny and cute holiday décor can be mistaken for toys and appealing to curious children. Use non-breakable ornaments made of plastic or non-leaded metal. Be careful when using Christmas crackers with young children, as the surprise inside may be a choking hazard. According to Hudson at the Ontario Poison Centre, liquid in snow globes can be toxic. While most snow globes contain water or glycerin, some could contain ethylene glycol, antifreeze, which which can be sweet tasting and toxic. If a snow globe breaks, clean it up immediately and ensure children and pets are not exposed to it. If using balloons to decorate this holiday season, remember that latex balloons are one of the most common non-food choking items among children. Check the ingredients in holiday snacks and treats for common allergens, such as nuts. 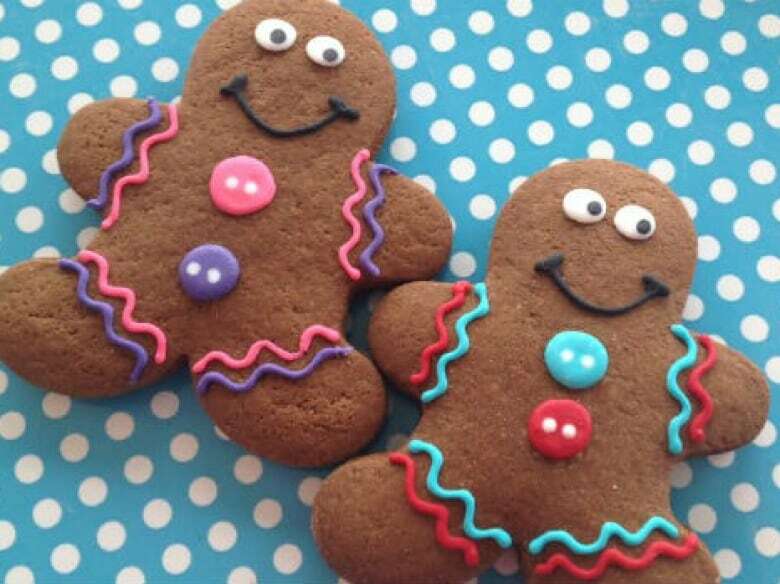 (Sweet Impressions Bakery)The holidays are a time of celebration, cheer and eating treats — lots of them. According to Statistics Canada, we spend more on snack foods, candy and confectionery in December than any other month of the year. But when it comes to treats, and especially home baked goods, Dr. Atkinson says, "it is also a time for those with food allergies to be extra vigilant, ensuring they know all the ingredients of foods they are offered, especially tree nuts and peanuts, and if they can't be guaranteed then to politely decline." Many holiday snacks and treats contain common allergens such as nuts. Holiday snacks and treats can also be a choking hazards for young children. Round or cylinder-shaped foods, such as peanuts and hard candy are thought to be among the most hazardous because they can plug a child's airway and prevent them from breathing. Avoid leaving candy and nuts out or putting candy canes on trees if small children are in the house – it's a choking hazard and children could be tempted to reach and pull on the tree. Ask guests if they have food allergies. Dr. Atkinson says if you have an auto-injector for allergic reactions, the holdays season is a good time to check and ensure it hasn't expired. Dr. Joelene Huber is a staff physician at St. Michael's Hospital in Toronto, an assistant professor in the University of Toronto faculty of medicine and a Fellow in Global Journalism at the Munk School of Global Affairs, University of Toronto.